Today, I had the opportunity to speak to my parish, Saint Mary Magdalene Roman Catholic Church, on Four Saints That Will Change Your Life. This was a last minute change to our Saturday Morning Speaker Series which we began on February 1. Although I have given talks for the Family Faith Formation sessions, this was the first time as the Director of Adult Evangelization and Catechesis that I spoke to a wide-range of parishioners. The four saints that I chose to speak on this morning were: Saint Teresa of Avila, St. John Bosco, Blessed Karl of Austria, and St. Gianna Beretta Molla. I have written on three of these saints in the past on here, so even though today’s talk was short notice do to a speaker not being able to make it, I was somewhat prepared in the end. 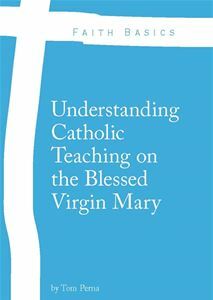 All praise and thanksgiving to Jesus, the Blessed Mother, and Angels and Saints for helping me get this talk completed. Excellent presentation, Tom! I love to hear stories about the saints. Sts. Teresa of Avila and Gianna Beretta Molla are two favorites of mine. Thanks for posting your talk Tom. Jack and I enjoyed it this morning! 😊 very edifying.